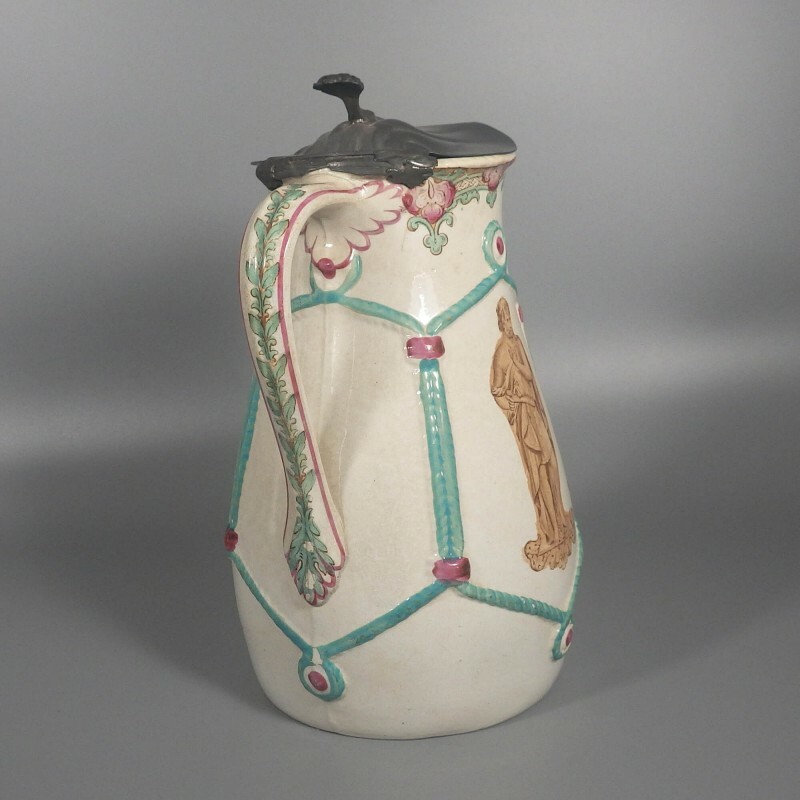 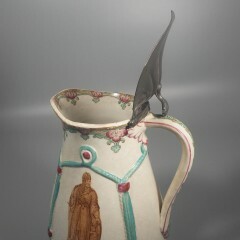 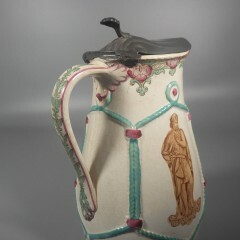 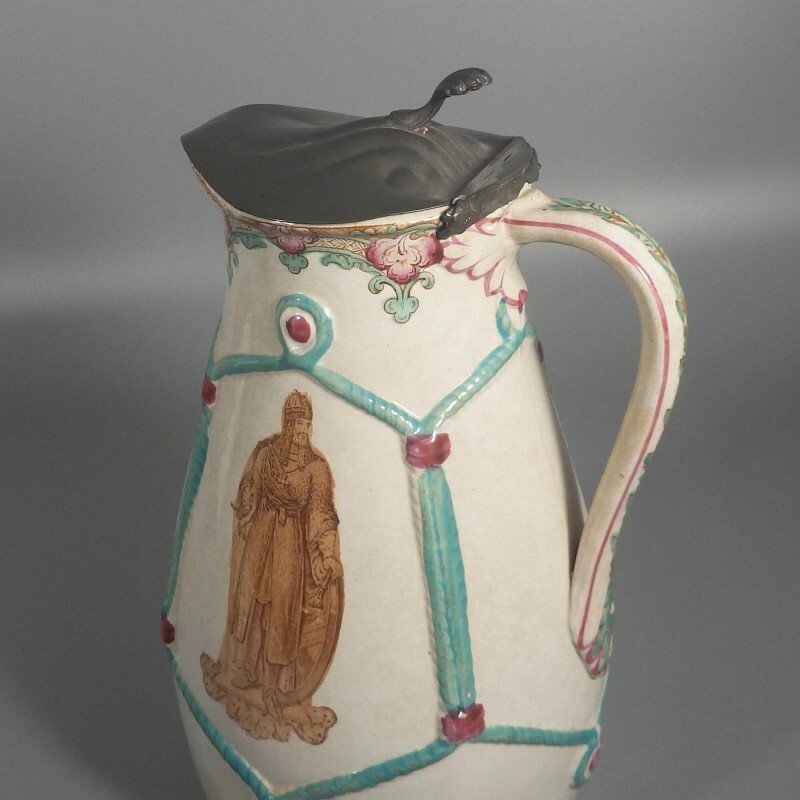 A wonderful large English earthenware pitcher or jug, likely from the Staffordshire region, with an unusual decorative mix. 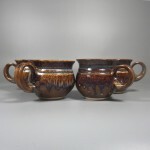 Around the body of the jug is a raised rope design forming four 6-sided polygon frames, three of which have brown transferware images of what I speculate are English warriors, each image having a golden luster finish. 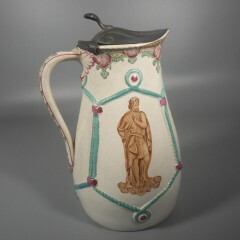 (The fourth panel is where the handle joins the jug body.) 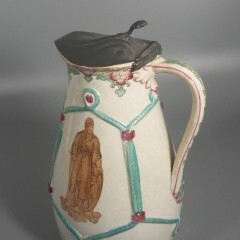 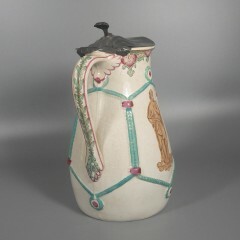 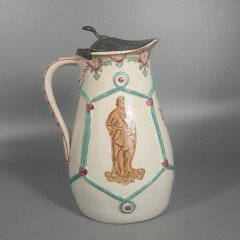 At the rim of the pitcher, both inside and out, is a lovely brown lattice and turquoise scroll design, with maroon flowers at each station. 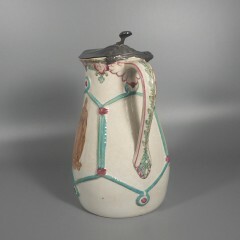 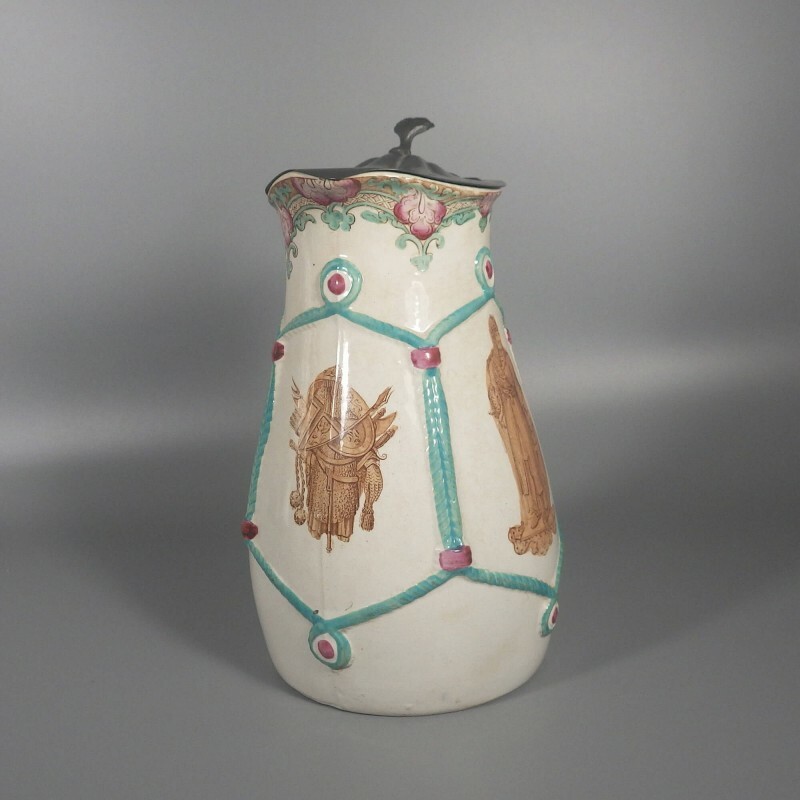 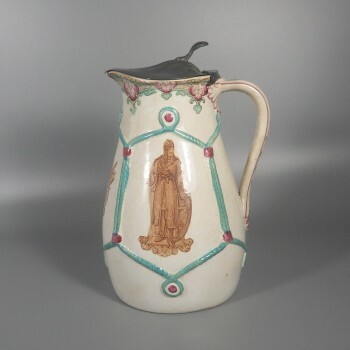 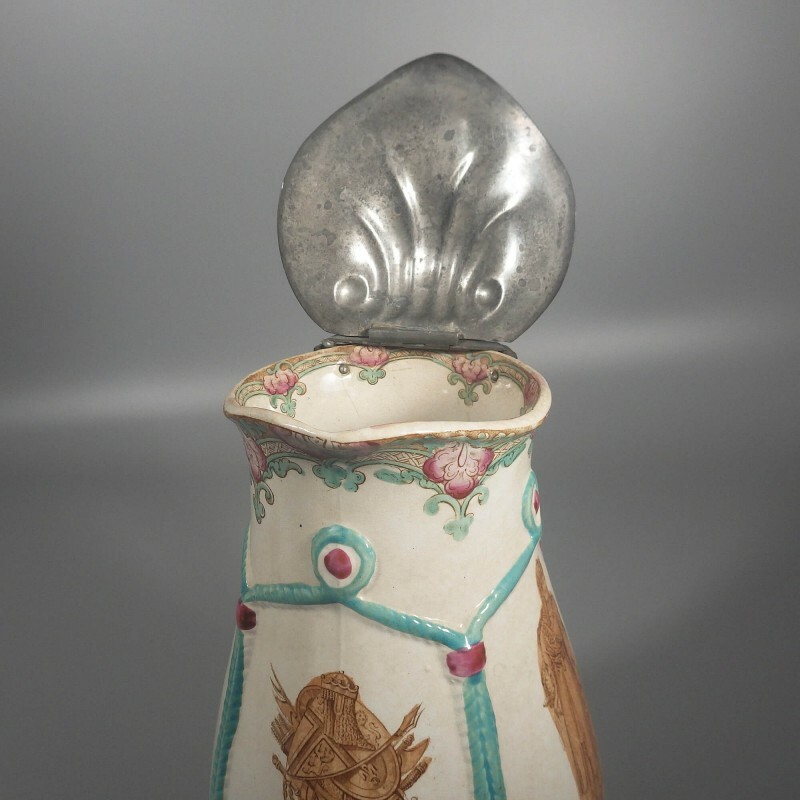 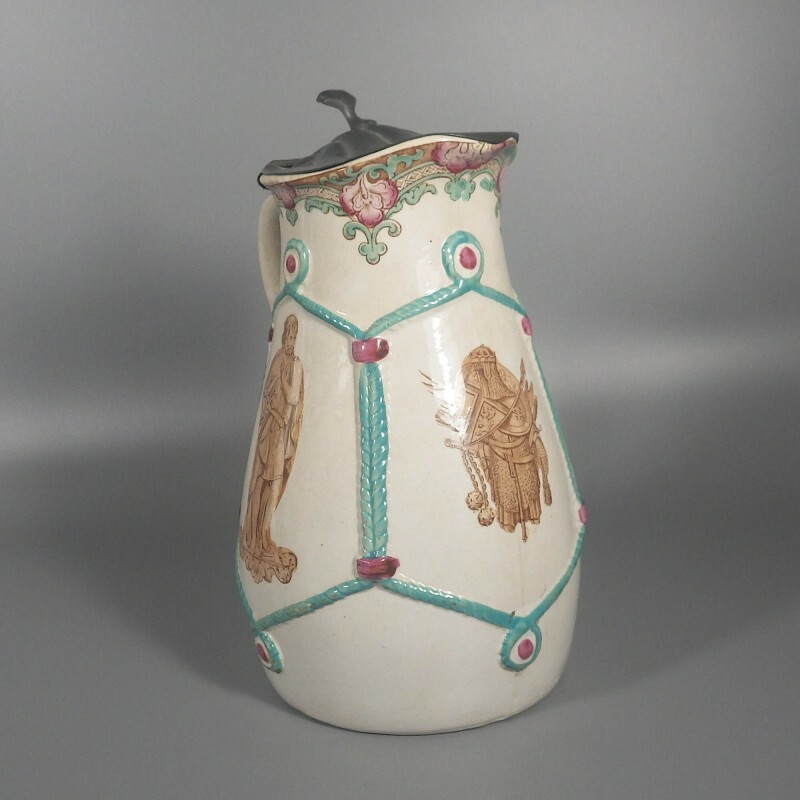 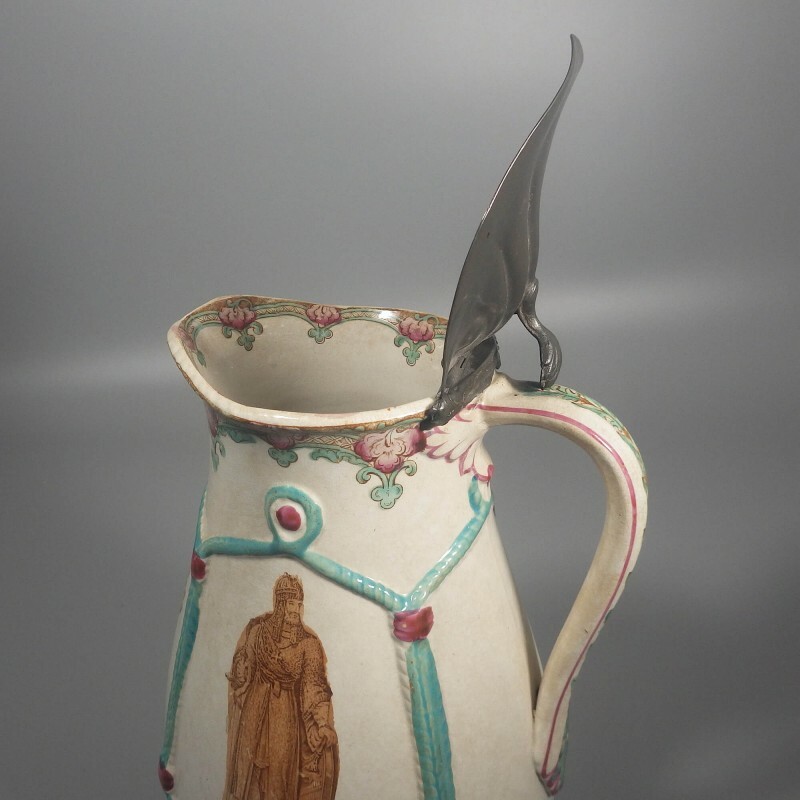 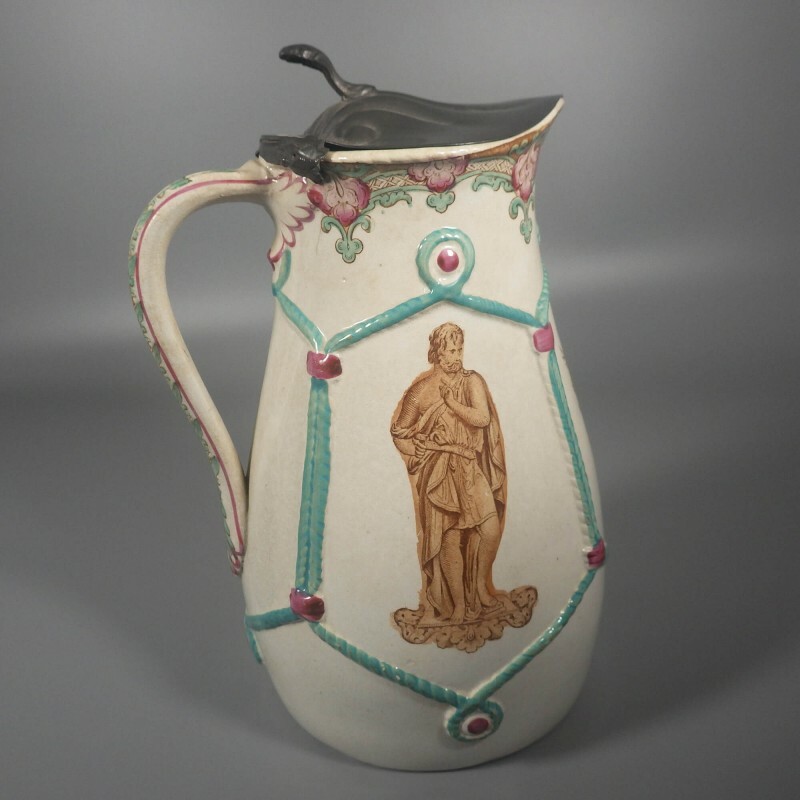 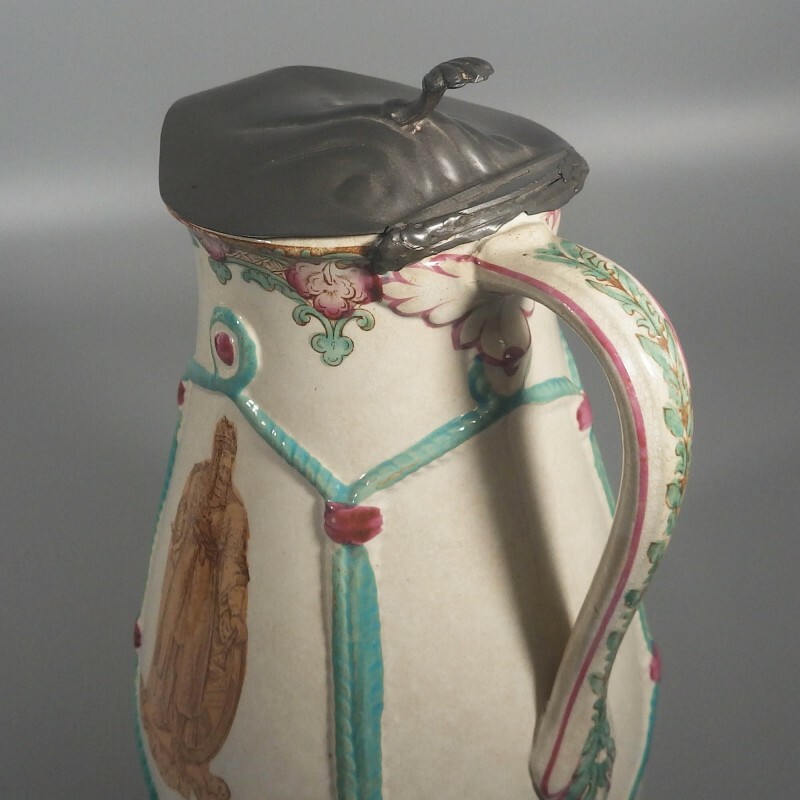 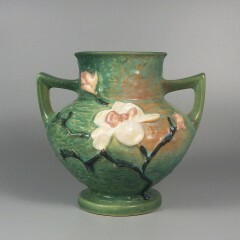 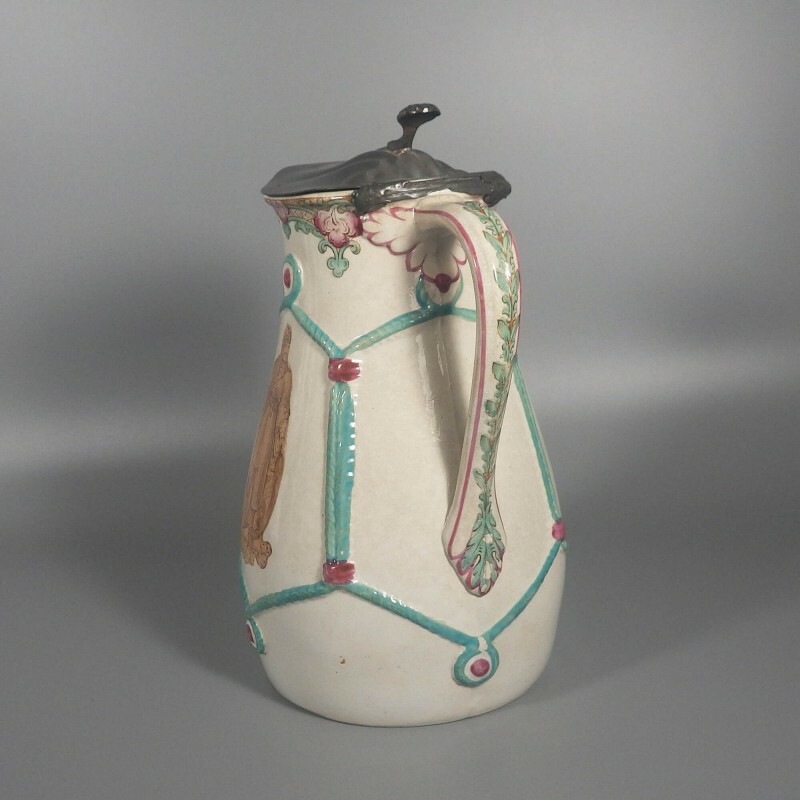 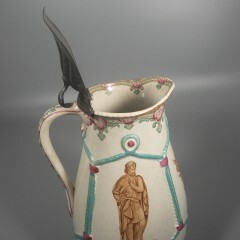 Dating to circa 1870, this lidded jug is unsigned. 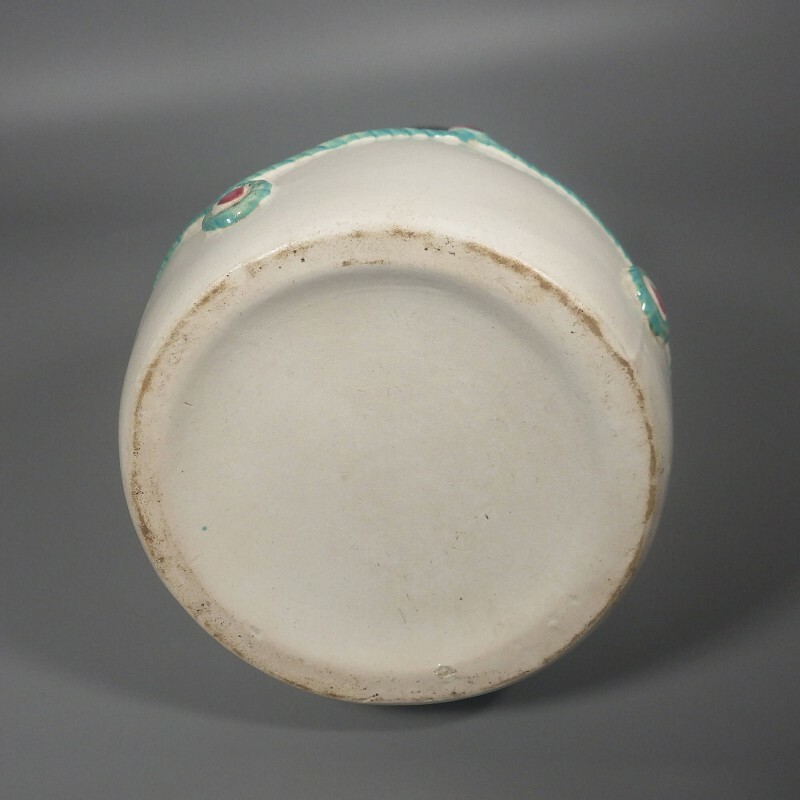 In wonderful condition with no nicks or chips, and what looks to be a short, tight hairline below the right corner of the lid hinge, not something I can feel or catch with a fingernail. 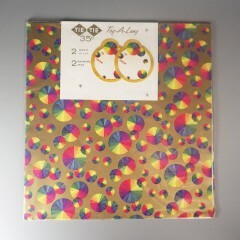 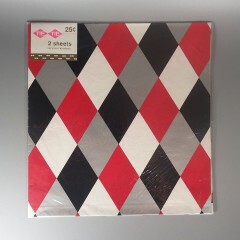 Stands approx. 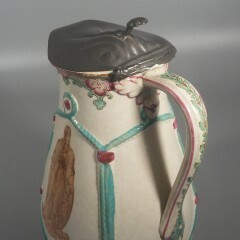 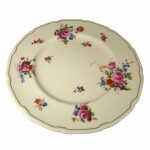 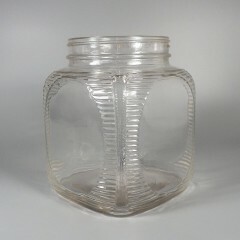 8" high at the rim and measures 5-3/4 inch from the spout to the handle back.